Contact: Subject to availability. Minimums apply. Contact Small Hope office at 242-368-2013 or 800-233-6961. Description: At Small Hope Bay Lodge, we believe in planned and responsible shark encounters that involve the least intrusive means of attracting sharks. 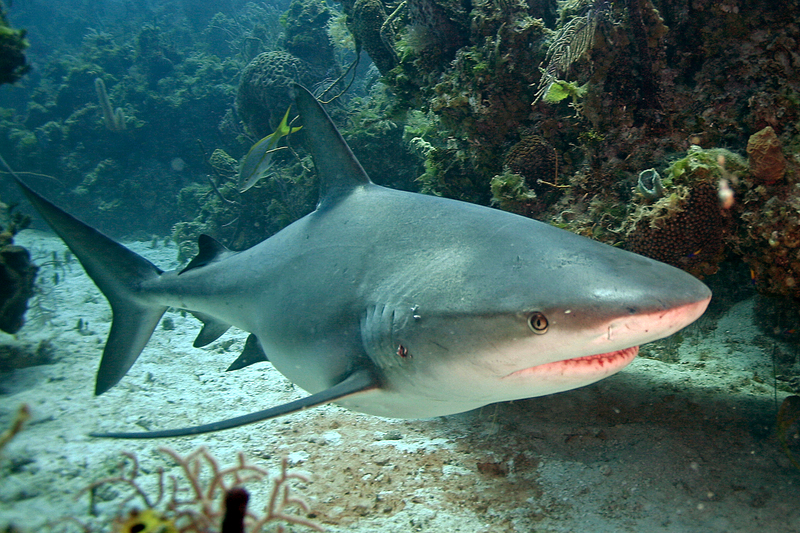 This gives us an opportunity to learn many truths about sharks first-hand. Our philosophy is that knowledge dispels fear, and experience promotes wisdom. 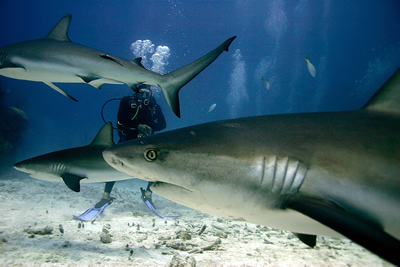 In running the shark encounter, our objectives are to raise awareness, evoke a sense of responsibility and to have fun! Snorkel gear available for rent on site.